Fashion Week has started in New York and I went to my first event of the week. 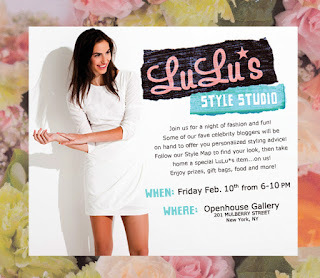 Last Friday (Feb 10th) I attended the LuLu's Style Studio event. It was held at the Openhouse Gallery on Mulberry Street in Manhattan. I loved the grass filled room and the set up was great for this type of event. The snacks were in one section, the drinks in another, and the clothing area in a separate room. Most importantly, there was no shortage of Hpnotiq cocktails. 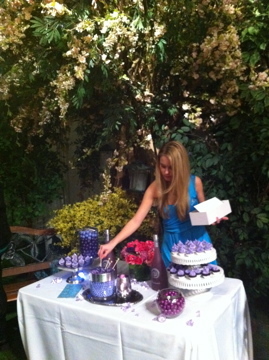 My favorite cocktail of the night was the "Luscious Lilac" (Hpnotiq Harmonie and Champagne). I was able to meet a few fashion bloggers, I exchanged information with them, and I got a ton of great beauty samples. I will definitely be trying out three products that I received. First the Sabi Hair Removal products. I love that the containers are travel size. This would be perfect for those week long vacations where waxing your legs is not an option and traveling with razors can get a little hairy. Hopefully the smell will not turn me off but I'm looking forward to trying this. The second item is the NYX "mood" lip gloss (MLG02). When I received the lip gloss I opened it and fell in love with this gloss right away just because there was no glitter in this product. I hate having glitter on my lips because it never seems to come off. Plus I will always love lip glosses no matter how old I get. 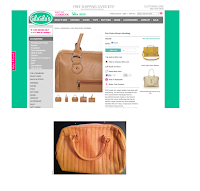 And most importantly this item is cruelty free. The third item is the Queen of Aleppo beauty soap. I actually won this soap by spinning the wheel below. I can always use soap that is simply natural and good for my skin. After spinning and winning, the lovely Patrice and I decided to get our makeup done by the skillful Maleeva Farrell. 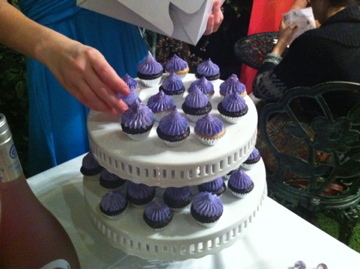 After being made up we grabbed some delish cupcakes (seen below) and went on to collect our lovely parting gifts. I'm really happy with the Fuchsia Pink Cropped Jacket I ended up taking home. 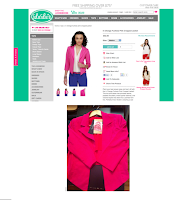 I just saw a pink blazer that I wanted on Pinterest and now I have one!! 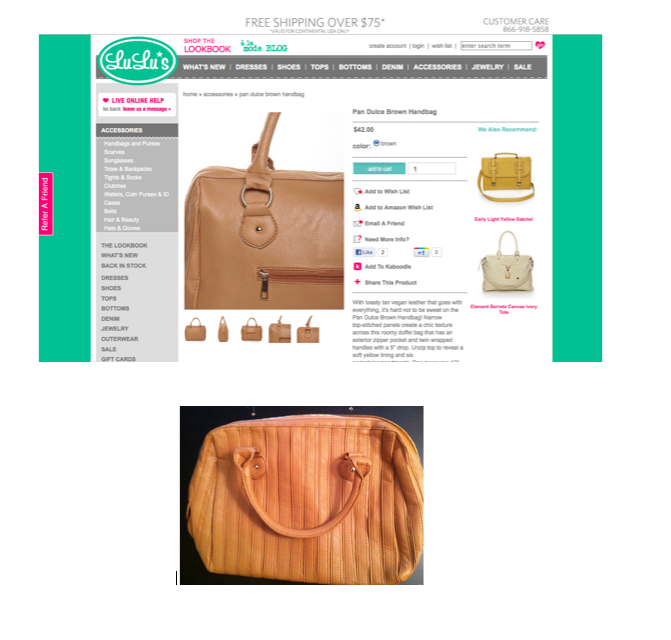 And I love my new Pan Dulce Brown Handbag. My laptop even fits in it. All in all. I had a great time! And I look forward to trying most of the items I got and wearing my new pretty jacket.